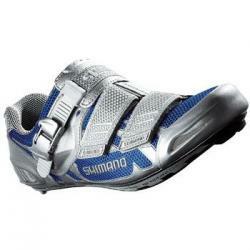 These are super lightweight road shoes which have optimum fitting and comfort. They have ultimate ventilation, cutable straps and multiple buckle position. They also have a stiff carbon sole, a proven SPD-SL System and easy Cleat-memory. They also come in wide fit sizes.